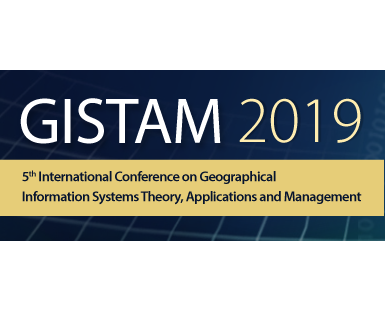 It is a pleasure to announce the GISTAM 2019 conference, which will take place from 3 until 5 May 2019 in Heraklion, Crete-Greece. The International Conference on Geographical Information Systems Theory, Applications and Management aims at creating a meeting point of researchers and practitioners that address new challenges in geo-spatial data sensing, observation, representation, processing, visualization, sharing and managing, in all aspects concerning both information communication and technologies (ICT) as well as management information systems and knowledge-based systems. The conference welcomes original papers of either practical or theoretical nature, presenting research or applications, of specialized or interdisciplinary nature, addressing any aspect of geographic information systems and technologies. A call for papers can be found here. Submission deadline is 10 December 2018.